Flexera Joint Formula Reviews: Does It Work? There are various reasons why joint pain may appear and the list includes normal wear and tear, injury, or different forms of arthritis. One thing is common for all these causes – the pain may become difficult to bear over time, which is why you may want to consider a supplement that promotes joint health. It is hard to find the one that measures up and today we will see whether Flexera Joint Formula can be the right choice for your needs. What Is Flexera Joint Formula? Flexera Joint Formula is a supplement intended to be used by both males and females who could use a boost in joint health. It focuses on utilizing ingredients to potentially reduce discomfort and boost motion range, as well as mobility of the joints. It can also support their lubrication and help in rebuilding cartilage. The manufacturer claims that the formula was designed for people that are looking to boost recovery and active people who want to maintain their health. According to the company, Flexera Joint Formula may assist in dealing with pain in various locations, such as knees, wrists, elbows, fingers, and hips. Who Is the Manufacturer of Flexera Joint Formula? 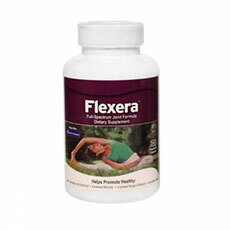 The company that designs Flexera Joint Formula is World Nutrition, Inc. Their headquarters are in Scottsdale, Arizona, and they make all their products in the United States. The goal of the company is to help optimize and maintain your health by offering various supplements. They have been around for over a decade and particularly emphasize the fact that they are a pioneer of the industry of systemic enzymes. Aside from the proprietary formulas like Flexera Joint Formula, Vitalzym is probably their most popular product. How Does Flexera Joint Formula Work? Many supplements for joints use the combination of glucosamine and chondroitin because they work particularly well in boosting joint recovery and decreasing discomfort. Flexera Joint Formula is no exception to that, but it also adds some other compounds that work toward providing pain relief, such as collagen that may boost tissue growth and hyaluronic acid, which may lubricate the joints and promote their elasticity. MSM and Boswellia use their anti-inflammatory properties to also help in improving joint health and dealing with inflammation. Flexera Joint Formula Ingredients – Are They Safe & Effective? OptiMSM – this is actually methylsulfonylmethane, which is often included in joint health supplements. It has anti-inflammatory properties and can improve the physical function of the joints while decreasing the pain. Collagen – this is actually a protein and it found in our organs, tendons, and bones. This compound may act as a pain reliever and potentially play a role in repairing and growing cartilage. Hyaluronic Acid – injections of this compound may provide pain relief in patients suffering from osteoarthritis. HA can promote joint lubrication, which is the reason why it may be able to decrease pain and discomfort. Glucosamine – it can play a role in the recovery after an acute knee injury, but it can also help with chronic pain caused by osteoarthritis and assist in decreasing joint swelling. Boswellia Serrata – another compound that has anti-inflammatory properties that can counteract discomfort that may appear due to arthritis and other causes. Other components are turmeric extract, chondroitin, vitamins B3 and B5, and magnesium. The inactive ingredients found in the product are vegetarian capsules (water and cellulose) and rice extract. What Are the Advantages of Flexera Joint Formula? What Are the Disadvantages of Flexera Joint Formula? How Should You Take Flexera Joint Formula? According to the instructions, you should make sure to take Flexera Joint Formula on a daily basis. The suggested dosage is three capsules two times per day. How Much Does Flexera Joint Formula Cost? If you go to the official site of the product, you will find that you can purchase a single bottle for $60. One bottle contains 180 capsules, which will cover you for 30 days of using Flexera Joint Formula. If you become a member of their VIP club, you may be entitled to discounts. What Is Flexera Joint Formula’s Return Policy? The return policy is valid for 30 days, but only if you purchased the product via the official website or from one of the authorized dealers. The policy covers any products that have a workmanship or material defect and the company will issue a replacement in that case. Does Flexera Joint Formula Offer a Free Trial? A trial offer for Flexera Joint Formula is not available at this point. Flexera Joint Formula is a dietary supplement that focuses on joint health and supporting normal joint functions. This joint supplement may act as a pain reliever, but the pain could reappear after a short while depending on the progression of arthritis. Also, the formula doesn’t provide an instant pain relief and you need to be patient until the capsules start working. Finally, Flexera Joint Formula may accelerate your recovery after acute joint injuries, but the potential increase in your motion range may be limited. Also, even though you may notice improved elasticity of the joints, the formula includes only 21mg of turmeric extract per serving, which is a quite limited amount for any apparent effectiveness. Is Flexera Joint Formula the first joint health product review you are reading? In that case, you might want to act smart and check out some other supplements, too. At the end of the day, that is the only way to make sure that you’ve chosen the best possible product out there.